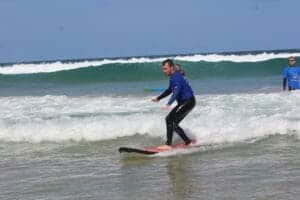 When I asked my friends to critique our travel plans around Australia, many people said to spend more time in Tasmania and less time in Australia’s big cities. 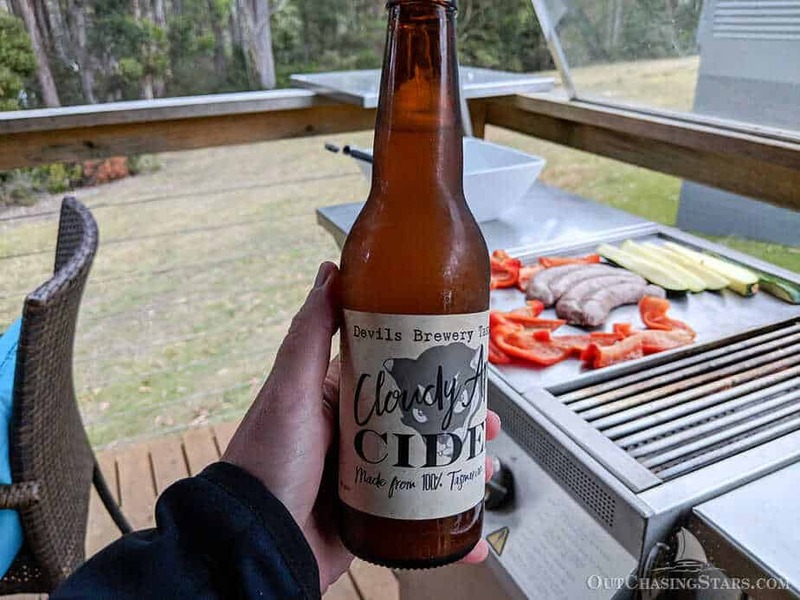 And those friends know us well because Tasmania is exactly our kind of place. Not to start off on a negative, but if I was planning Tasmania all over again, there is one thing I would do differently. We should have done a flight through Hobart and another flight through Launceston, with a one-way car rental. 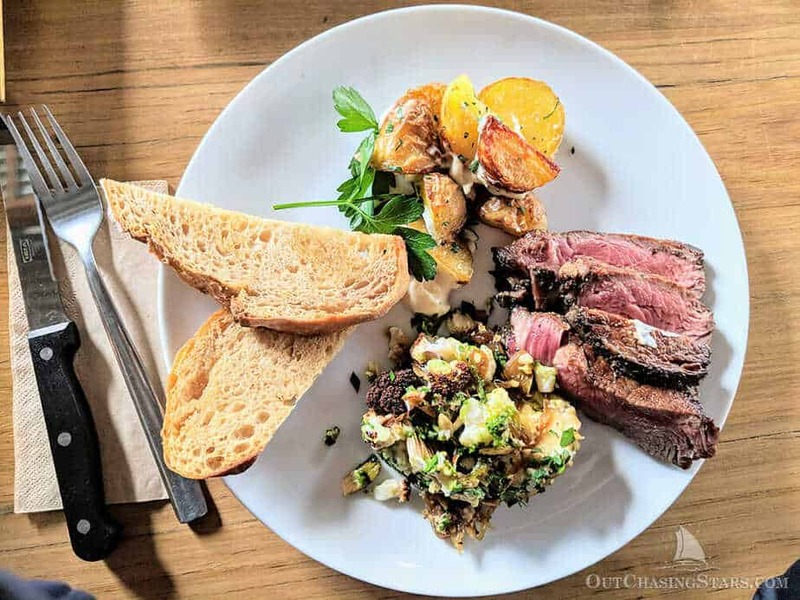 That would have given us some additional time up north and enabled us to see the city of Launceston, hike Cradle Mountain, and maybe even stay in this pretty sweet luxury lodge. Maybe the real problem is that 8 days in Tasmania isn’t enough. Immediately after touching down in Hobart we picked up our car and took off for the Tasman Peninsula for two jam-packed days. 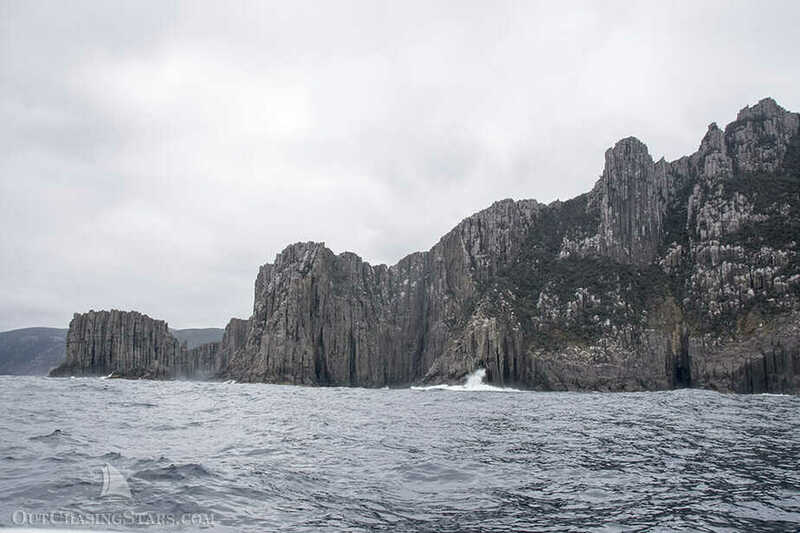 A highly rated and very well advertised travel company is the Pennicott Wilderness Journeys, and we were booked for their three-hour Tasman Island Cruise. We were concerned about the weather, as it was completely overcast out, but the staff assured us that the weather was actually great. 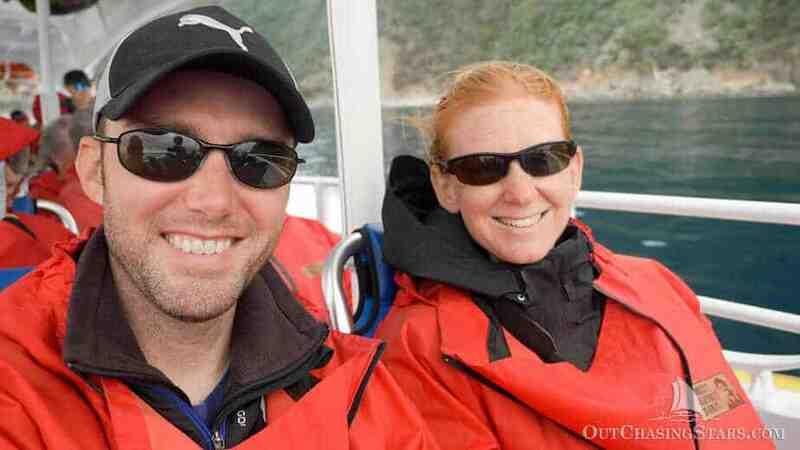 The cloud cover was preventing it from being windy, and sure enough, during our cruise, the winds were very calm. Nevertheless, we were both glad to have 2-part jackets, with a warm lining and a waterproof outer shell. I contemplated buying a beanie at the nearby store, but didn’t and was perfectly comfortable. 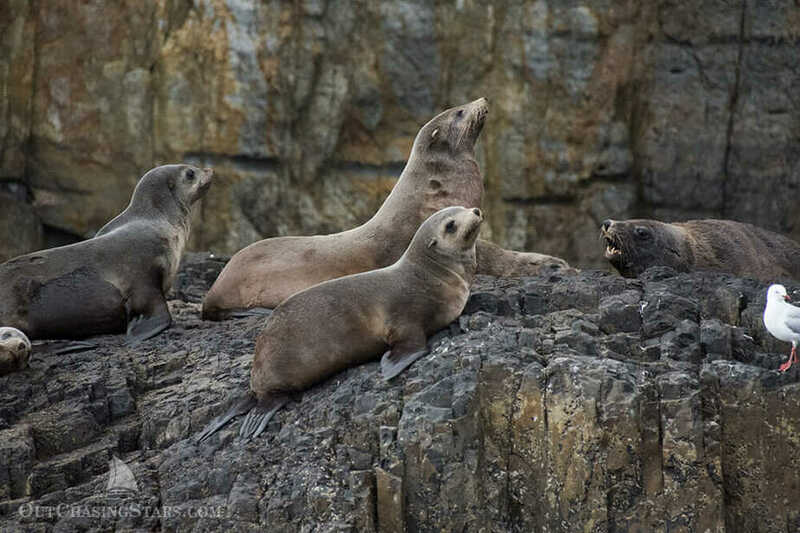 We met the group at the Tasman Island Cruises office in Port Arthur. The staff gave us a briefing where they gave us some expectations for the day and explained our route. Because there was very little wind and a small amount of swell, we were going to get to do a full trip, one way around the peninsula. Next, we walked down to the dock (there was a bus available too, but you know…exercise). There were enough people for two boats, but neither boat was full. There was plenty of room to sit where ever you wanted. Most people opted to sit in the back of the boat, but we sat just a few rows back, and one young couple sat all the way in the front. Waves are more likely to splash the seats up front. We weren’t too worried about getting wet, since it was such a calm day. The staff handed out full-length parkas for us to wear. It was huge, big enough to cover all your electronics too. Seat belts must be worn in the front half of the boat. Every time we got ready to take off, our captain called out, “secure your seat belts, check your gear”. 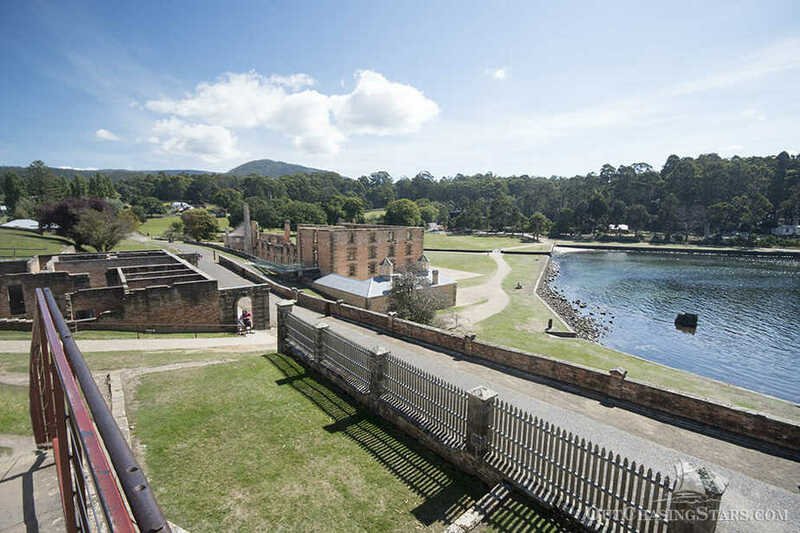 We took off from Ladies Bay and stopped to see a few of the historic points of the Port Arthur Historic Site before heading out into the open water. 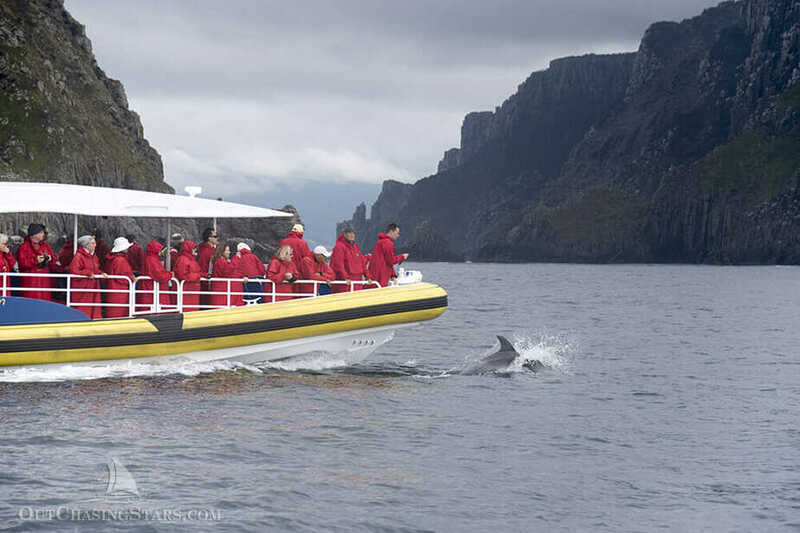 Our cruise took us around Cape Pillar, the Tasman Island, and up the coast, stopping at the Devil’s Kitchen and Tasman Arch. Our staff was FANTASTIC. They were extremely knowledgeable, and DAMN that captain could drive. He was often weaving us through the pillars and islands, making sharp turns and getting us the best views. We got especially lucky. 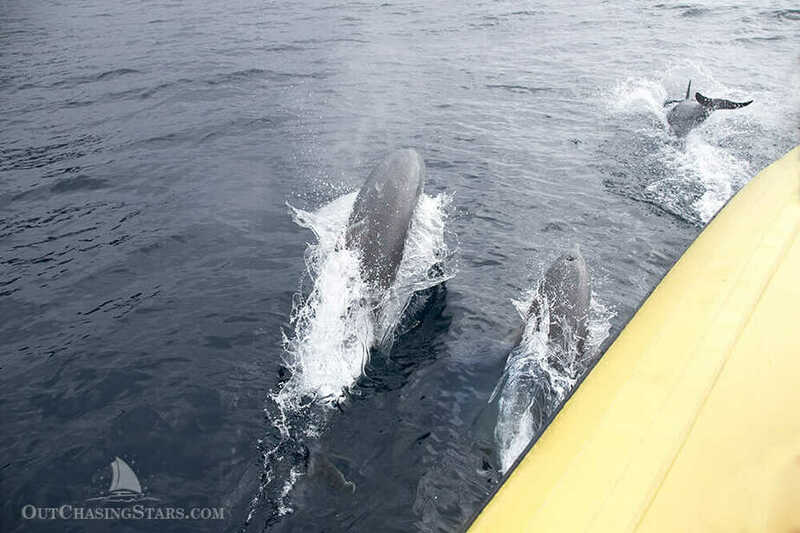 The staff told us they often see common dolphins, which we did see, but we also found a spectacular pod of bottle nose dolphins that were very playful. 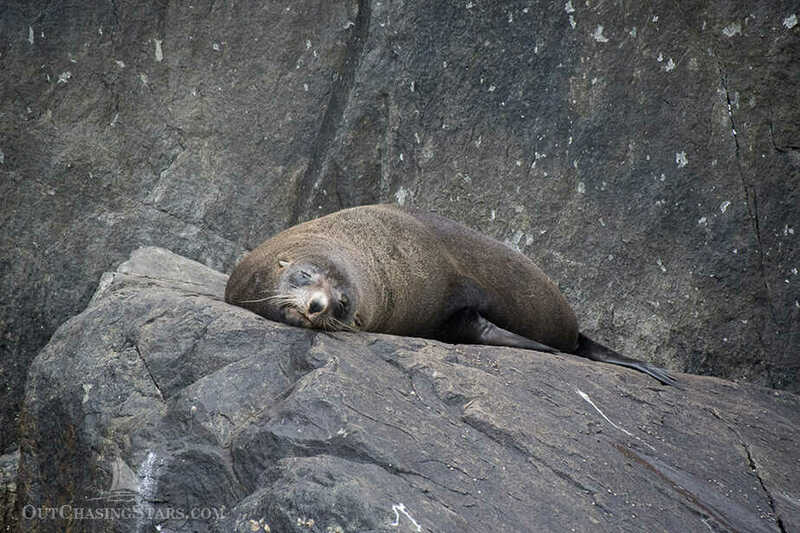 In addition to the dolphins, we saw fur seals and a variety of birds. 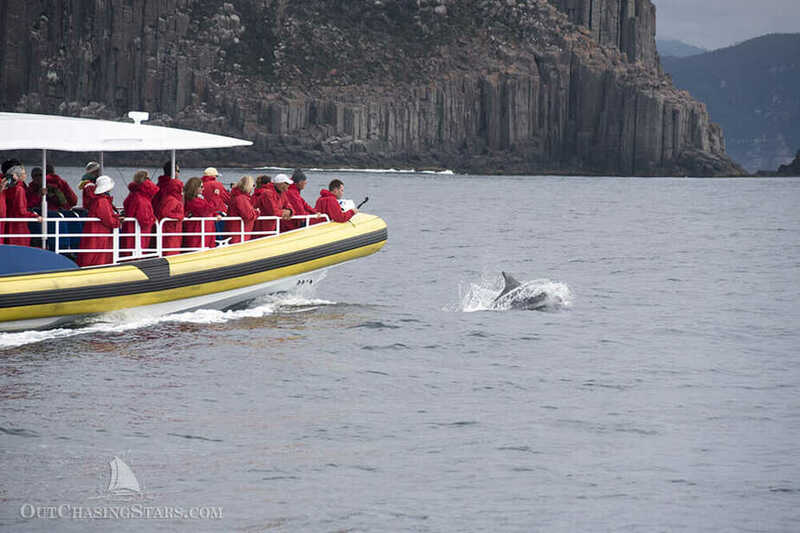 Hands down, this was our favorite thing we did in Tasmania. 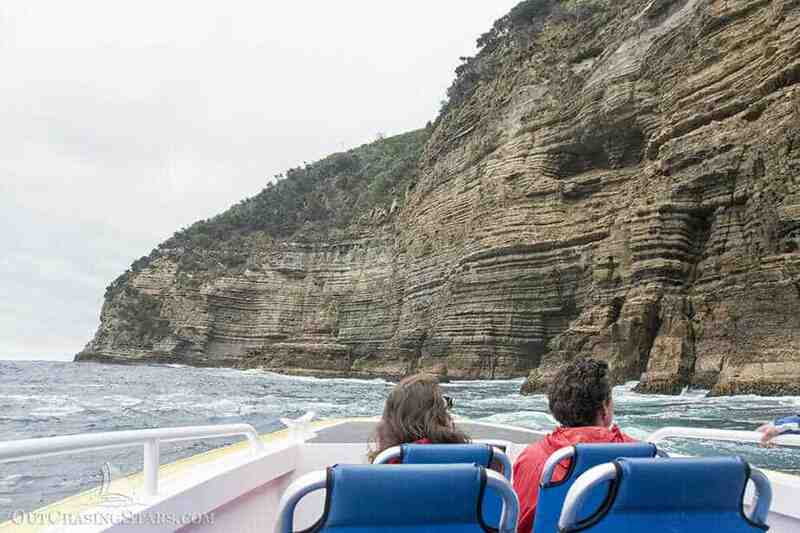 It was a great way to see the coast from the water without sailing Starry Horizons all the way down to Tasmania! 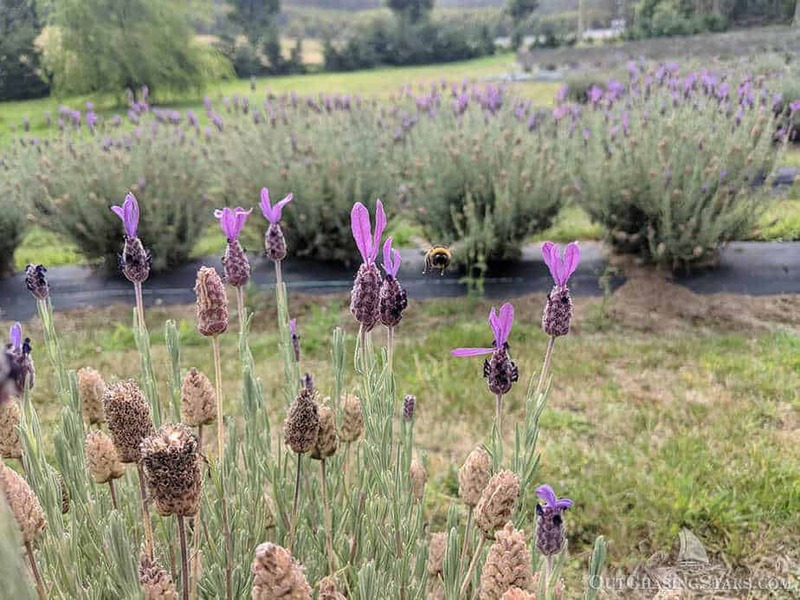 After our cruise we stopped for lunch at the Port Arthur Lavender Farm. After lunch we took a walk in the lavender fields, and popped into the store to buy a sweet. 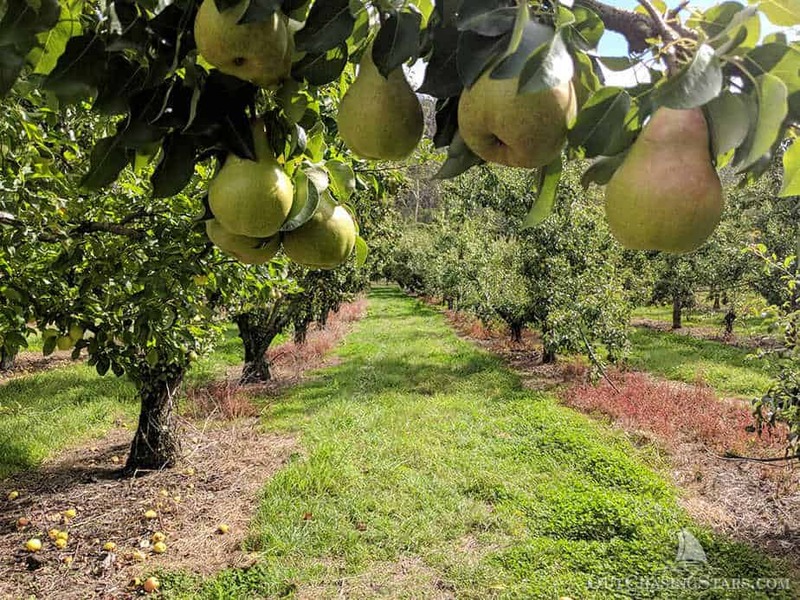 We also discovered that the Tasman Peninsula is full of apple and pear farms. 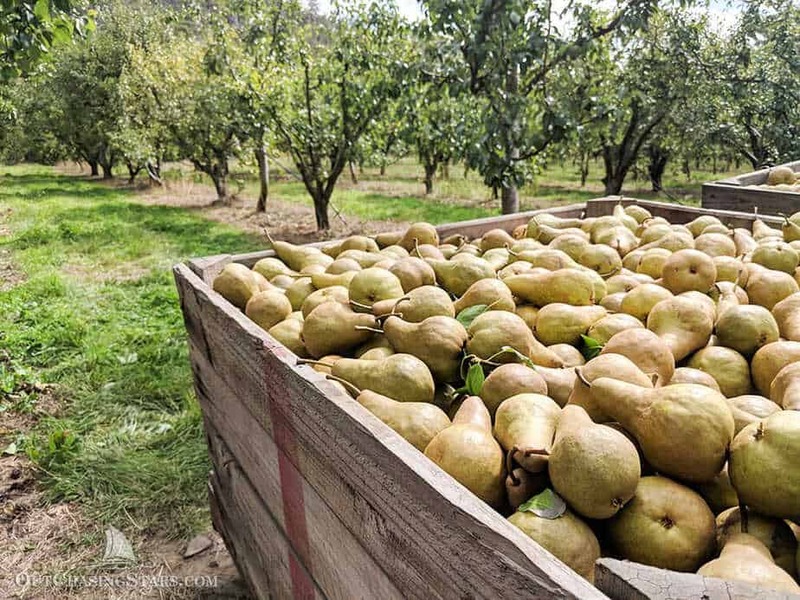 We stopped in for a wander around a pear farm. No pears for sale here, I’m assuming they all go to one of the cider manufacturers. 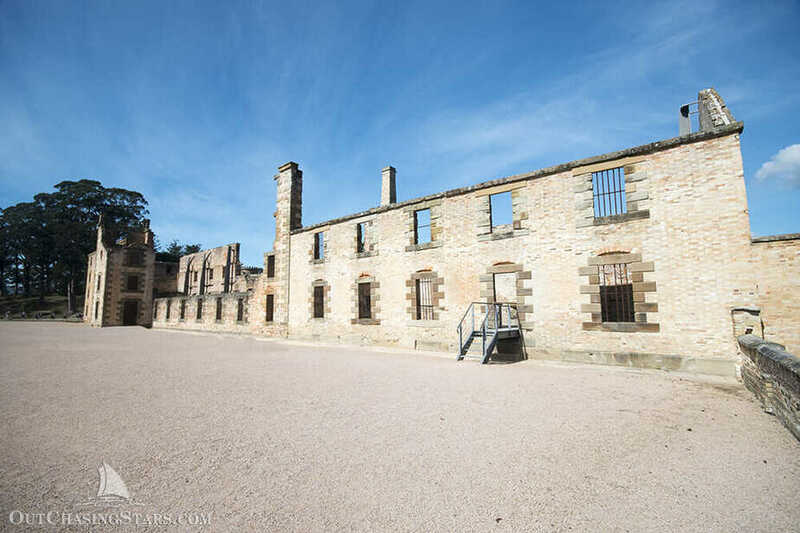 Our second day we went to visit the Port Arthur Historic Site. 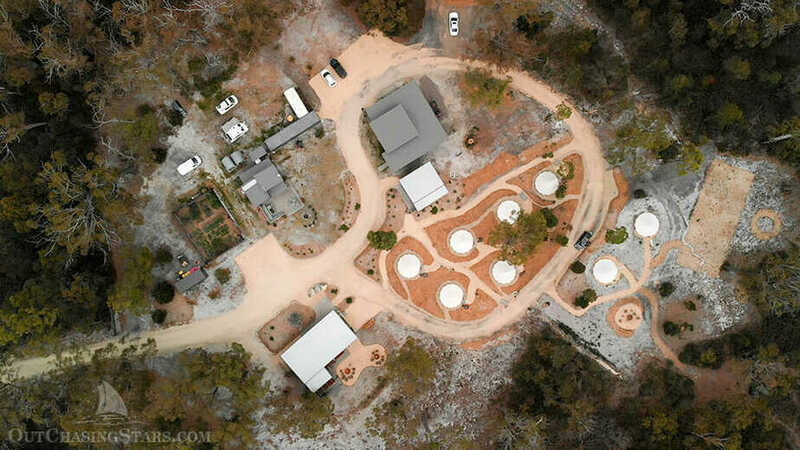 This is Australia’s most infamous penal colony. When we talk about Australia’s history, most of us recognize that Australia was a convict nation – at least white Australia was anyway. 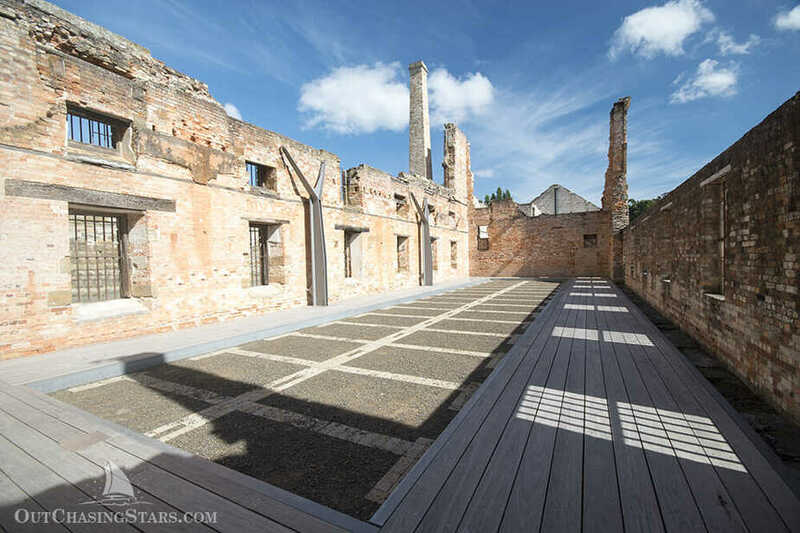 Tasmania was the worst of the convicts in Australia….repeat offenders in the mainland prison system. There is a fabulous museum, and as we paid our entrance fees, the staff gave us a playing card. Down in the museum you match your card to a drawer, and the drawer holds the information about a specific convict – “your” convict. Original charges were things like stealing handkerchiefs, and boys as young as 9 were sent to Tasmania. We joined the free guided tour to explore the grounds, and after it was over, we split off on our own to walk in the buildings and ruins. 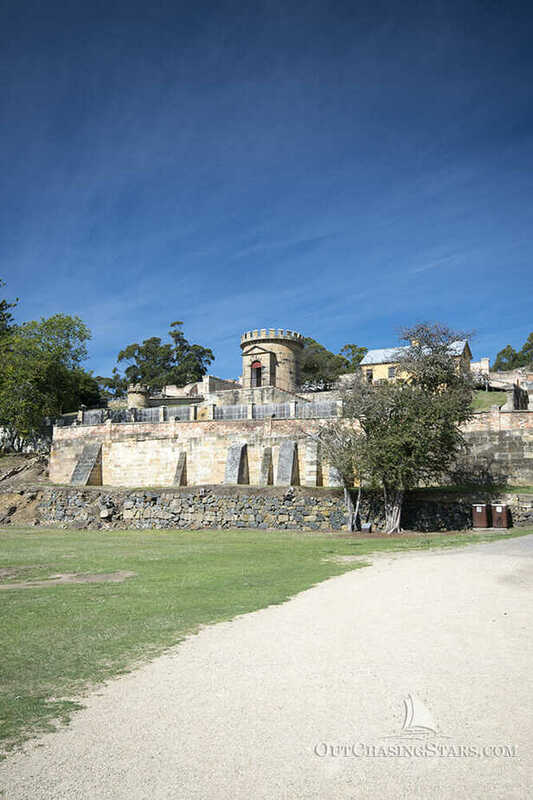 Additionally, in 1996, a gunman opened fire in a cafe located on the Port Arthur Historic Site and killed 35 people. It was Australia’s last mass shooting, as this event led to a massive gun buyback program and a ban on fully automatic and semiautomatic rifles. In the skeleton of the cafe now stands a memorial garden for the victims of the shooting. 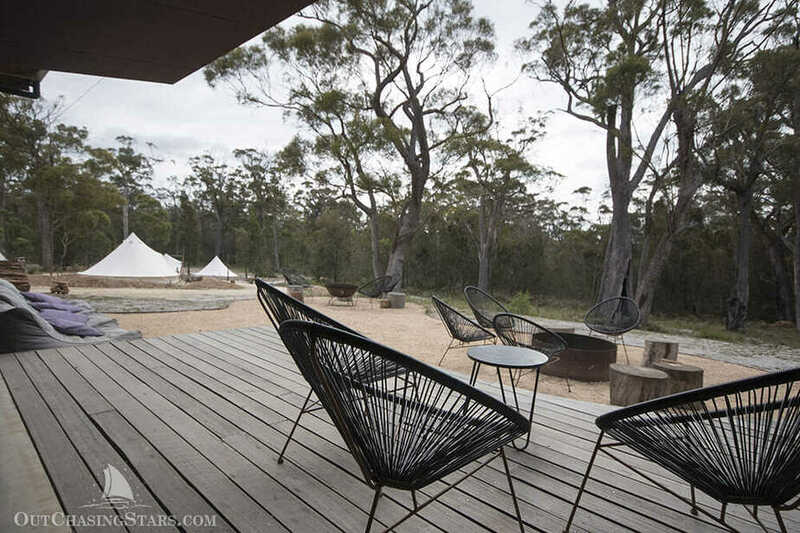 We booked a safari tent at the NRMA Port Arthur, and loved it. The tent was clean with a kitchenette and en-suite bathroom. 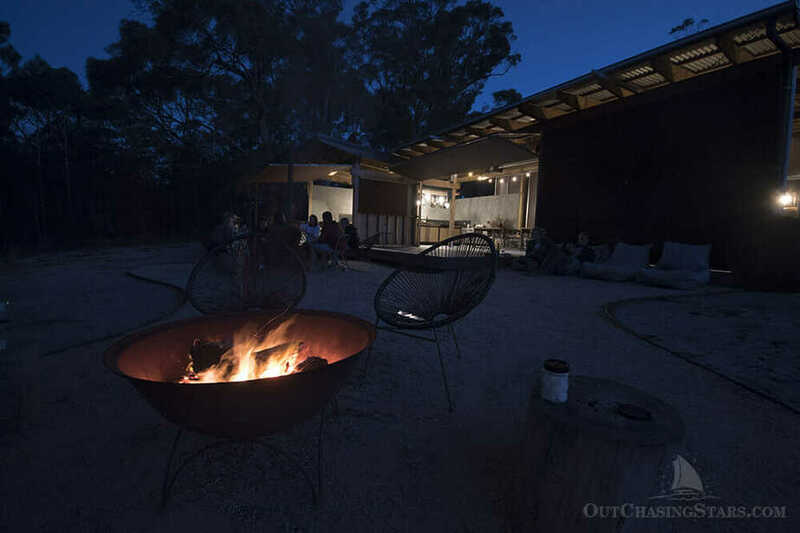 One night I grilled dinner on our deck, and as the sun set, I kept an ear open to hear the sounds of the pademelons come out from the forest underbush. 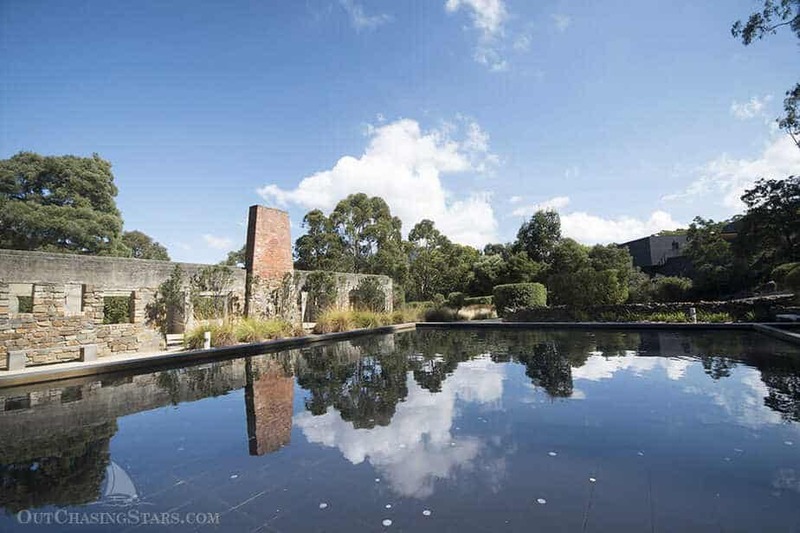 We drove back to the city to stay three nights in North Hobart. 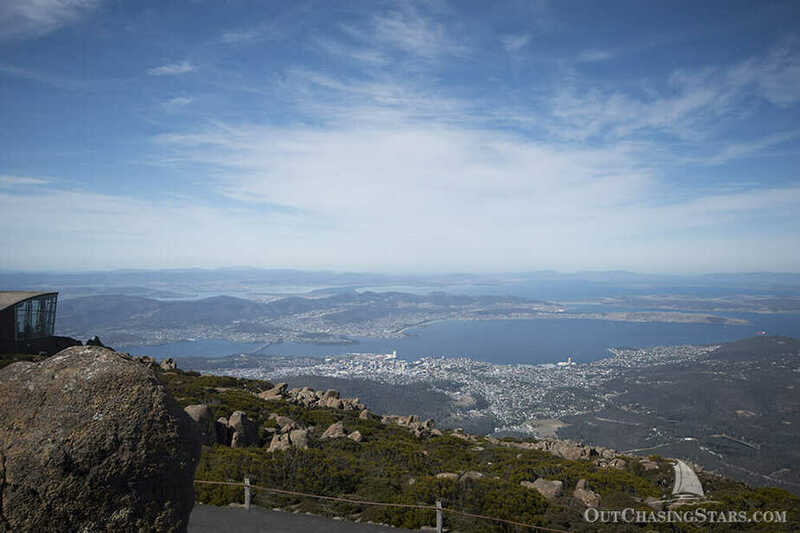 Mount Wellington is about an hour drive outside of Hobart. You drive entirely up to the top, where there are some hiking trails and a viewing platform. The view over the city is stunning! It’s best if you go in the afternoon, as the sun will be behind you. On a nice day it’s crowded! 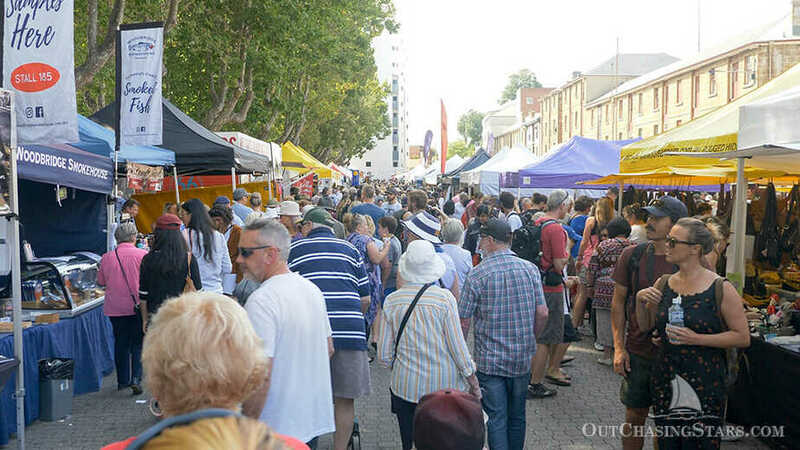 Hobart’s primary market has a great reputation, and it’s why we decided to spend our weekend in Hobart. The time spent there was well worth it. I got to wonder around, enjoying mostly homemade crafts. There aren’t many fruits and vegetable stands here, but time the market well and you’ve got a fantastic lunch from one of the food vendors. 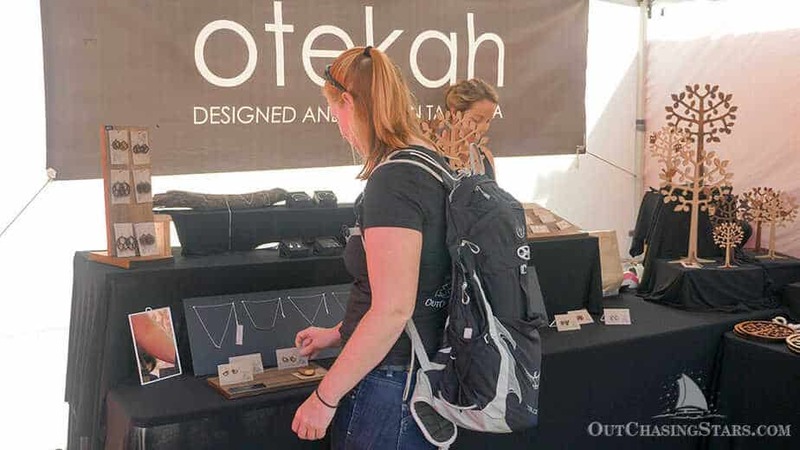 One of my favorite vendors was Otekah, which had jewelry and decor made from laser cut wood. Another good one was one I’d heard of already – Sustomi, a reusable beeswax paper food wrap. Melissa Baldock is a goldsmith with beautiful jewelry. I really enjoy browsing these kinds of markets, but I never buy anything since we have limited space. Unfortunately, as we were wrapping up our time in Hobart, David started to feel ill. It was probably just a cold or a light flu, but it meant we had to knock our activities way back so he could get some rest and feel better. Plus, I had to try not to get sick! Since David wasn’t feeling well, we didn’t get to do most of our to-do list on the Great Eastern Drive. It would be tough to hike an hour and a half to the Wineglass Bay Lookout when you can’t breathe properly out of your nose. 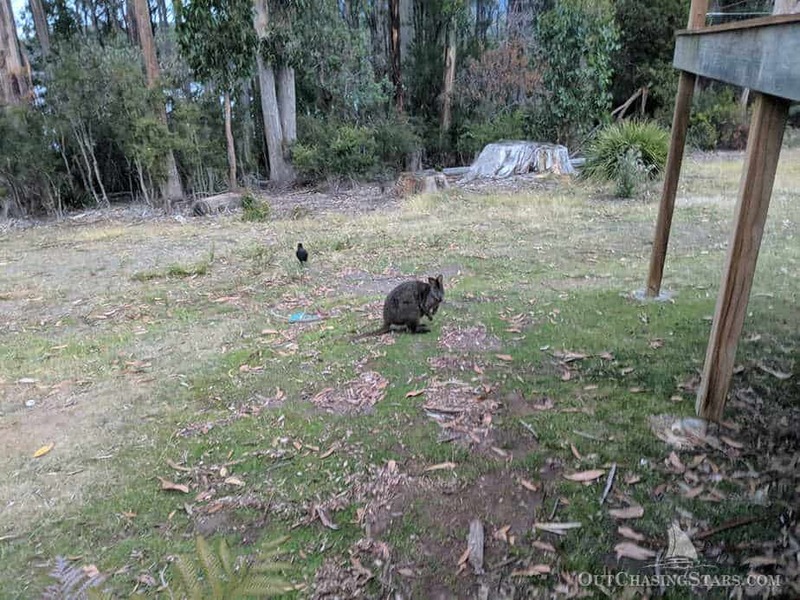 We also missed going out to Maria Island to see wombats (post by Our 21st Century Odyssey)! 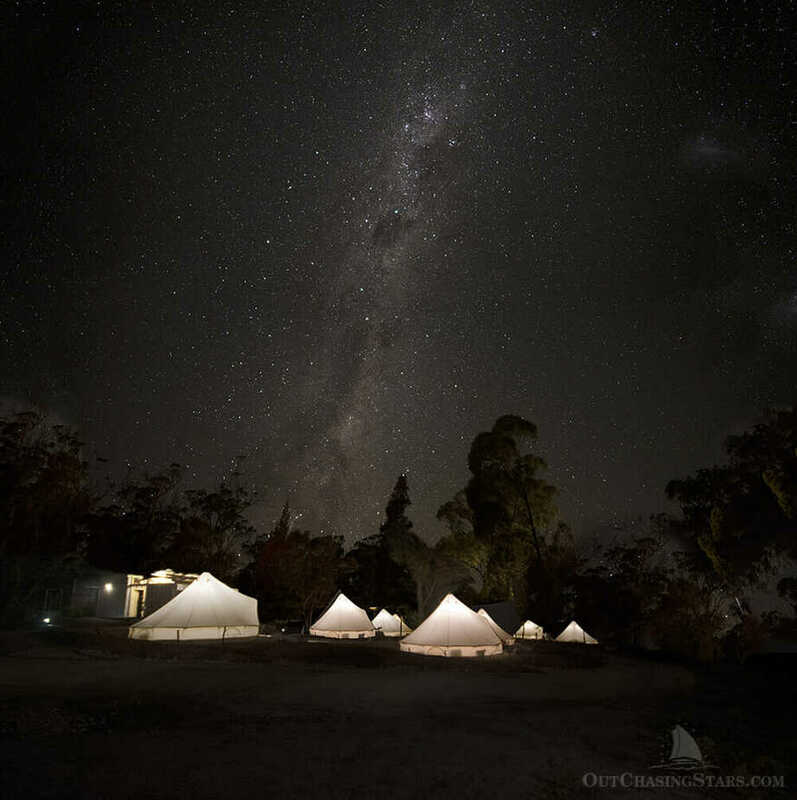 Our plan had been to stay one night in Swansea, and two nights in the Bay of Fires. Thankfully David was up for driving so we kept our reservations. During the day we had hoped to get out to hike and see spectacular views. Instead, David napped while I babied him with tomato soup and tea! That doesn’t mean we didn’t enjoy our time there though. We did make one stop that we enjoyed, the Bicheno Blowhole. We had to time to kill before we could check into our accommodations, so we stopped and watched the blowhole. David got his new drone up for some spectacular shots. 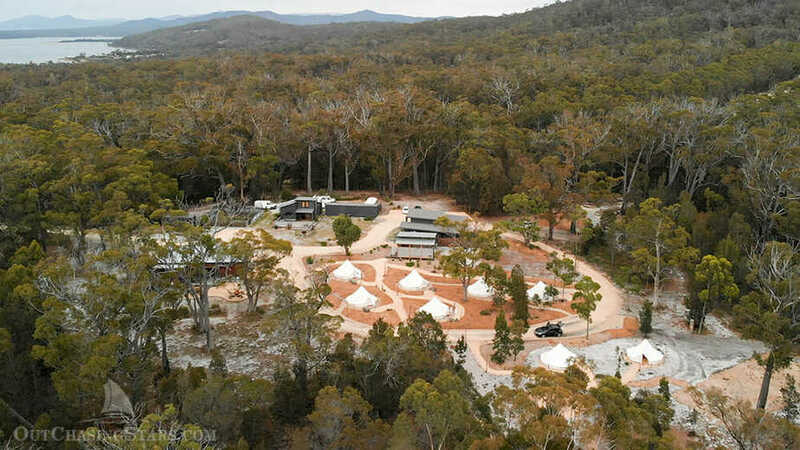 This is glamping, Tasmania style. Not only was the location gorgeous, but the staff was incredibly accommodating and helped us make sure David got some great sleep. 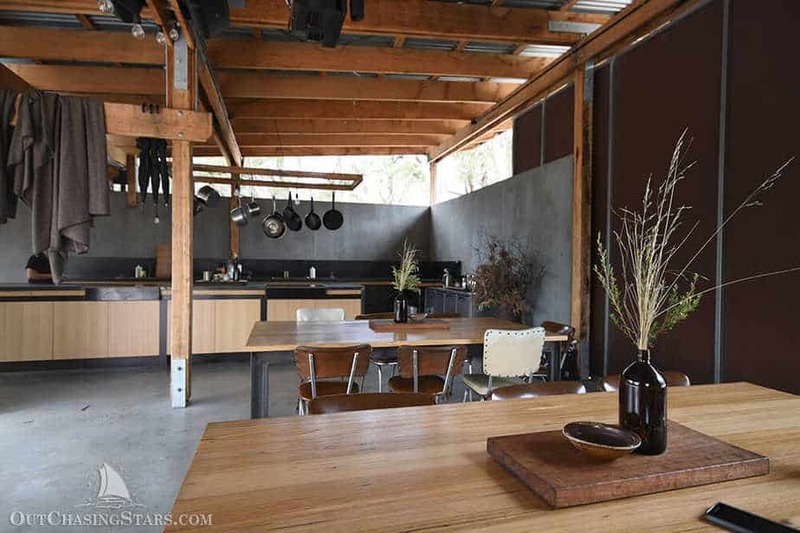 AND, we had our best meal in Tasmania here – the chef is absolutely amazing. The food is all presented in the common area, served on platters per couple, and is an incredibly reasonable price. Disclaimer: Some of the activities mentioned in this post were received free of charge or at a discounted rate. 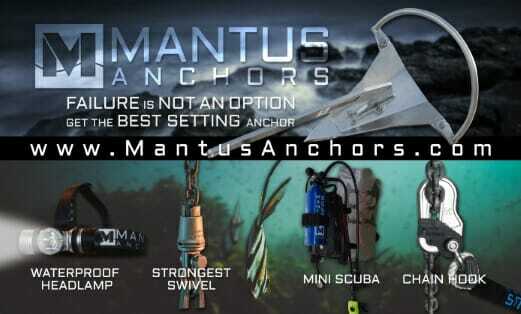 We were psyched to have their support, but this post reflects our honest opinion on the activity. Tasmania was amazing, and it was a bummer David wasn’t feeling so hot. Fortunately, he got better quickly, because we were off to Bondi next! The boat tour looks fabulous! Sorry to hear David was sick – but you’re the best for taking care of him! The tour was great, and David was a good patient. Such stunning photos! 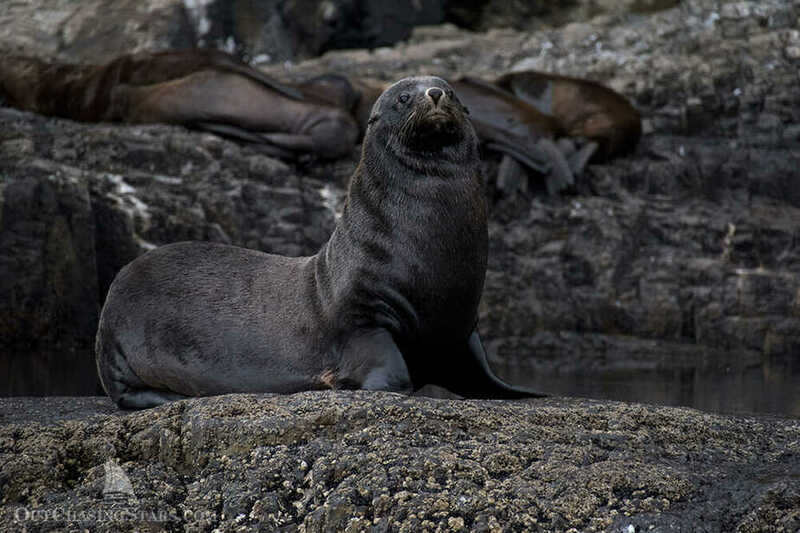 And those bottle-nosed dolphins, fur seals, beaches, and incredible stars! 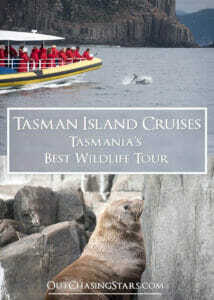 If I hadn’t just relocated to a different country, I’d definitely be on the hunt for tickets to Tasmania. This is such a helpful, comprehensive guide of what to do. Saving it for when I eventually get to Oceania- thank you! 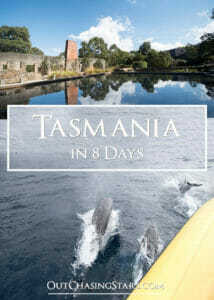 Tasmania seems like a dream destination! Like you, we are more interested in natural areas than big cities. 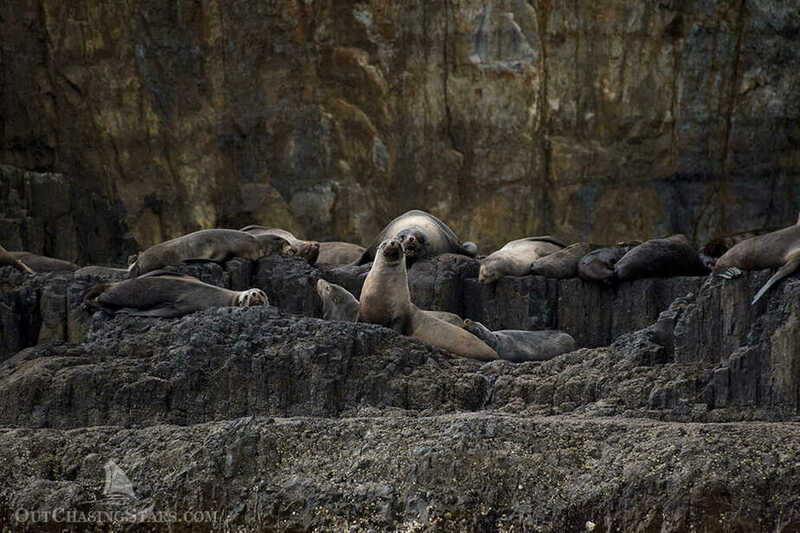 You got some amazing photos on your boat tour. Dolphins! Thanks! We love being on the water, even if it’s not our home. 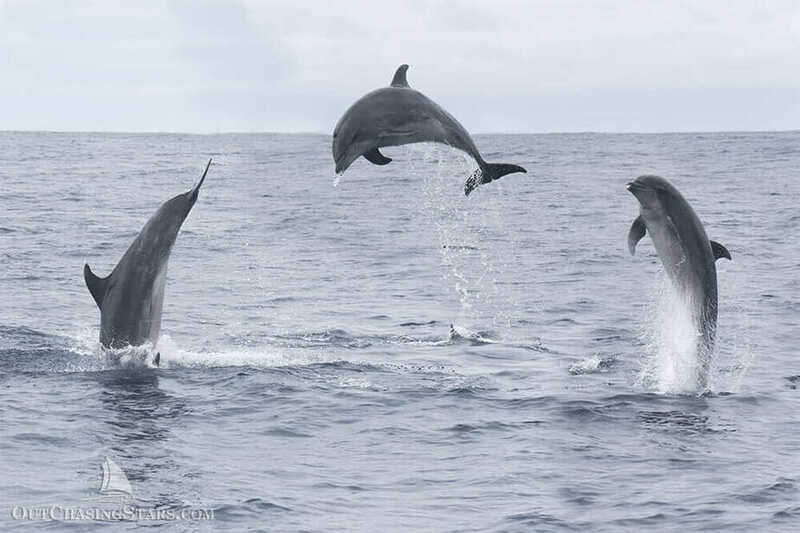 DOLPHINS! Ahah sorry just got a tad bit excited, would love to do that one day. ALWAYS get excited about dolphins. What a gorgeous writeup! We’ve been jonesing to get to Australia and that part of the world, but tickets from East Coast, USA are crazy. One day 🙂 Until then, I’ll just keep living vicariously!! True! It is hard to get there from the East Coast. But that’s always changing, since they just opened up London nonstop to Perth. You never know what will be next. That’s a nice itinerary. 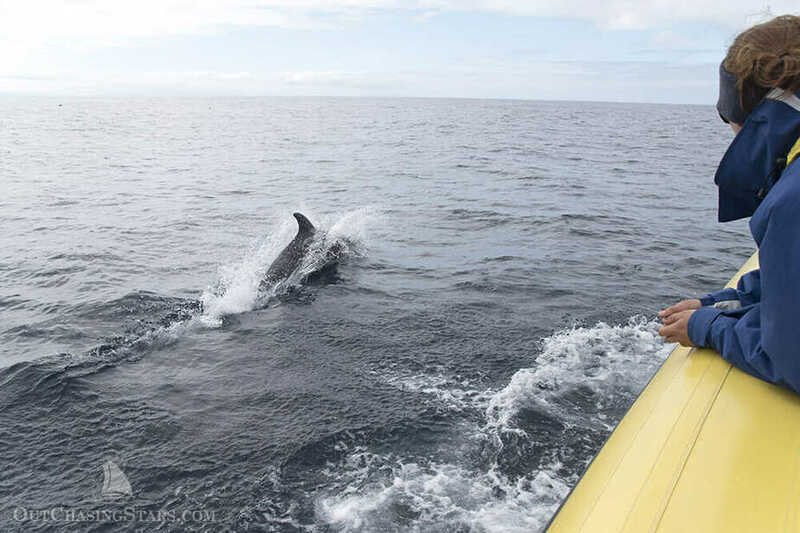 Would especially enjoy taking that boat ride to see dolphins up close! Thanks! It was awesome and definitely a highlight. Very true. I could spend a lot of time in Tasmania. The really were! 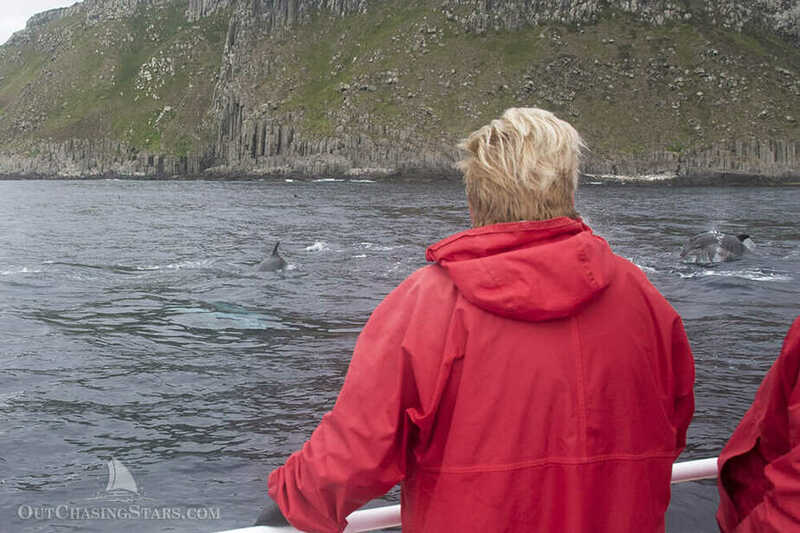 We get to see dolphin all the time but it’s not often they play this hard for us! This looks like my kind of trip! 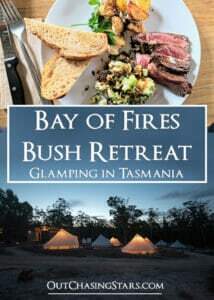 The hiking, the wildlife, the glamping perfect place to spend some time and the historical tour to boot. 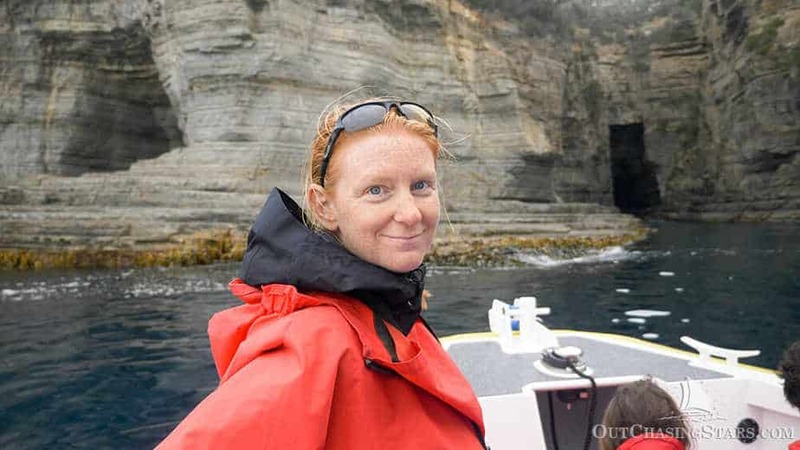 I have heard so many good things about Tasmania, thanks for sharing! You are welcome. 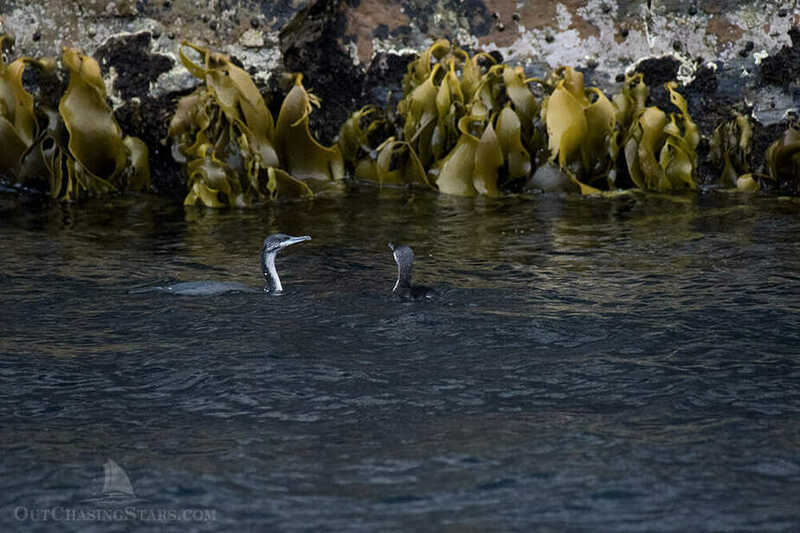 Tasmania is amazing, I hope you get there some day. 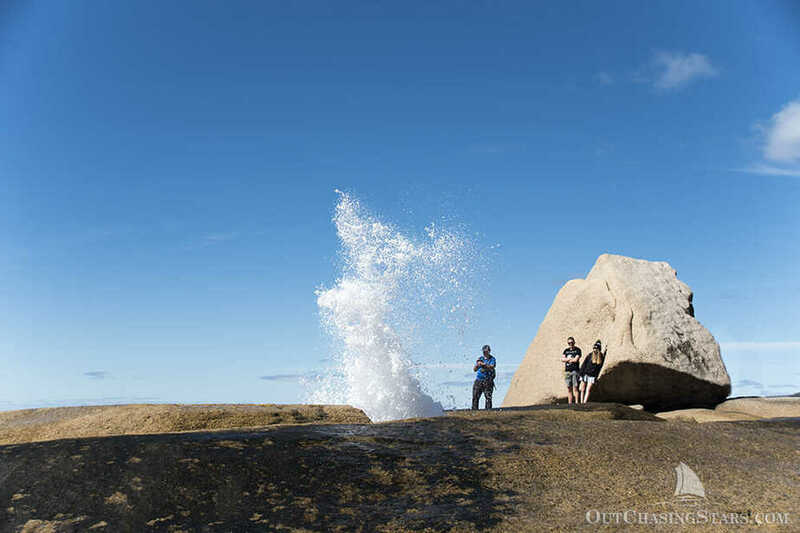 Tasmania looks beautiful and you’re photos capturing it amazingly! Really nice viewing. 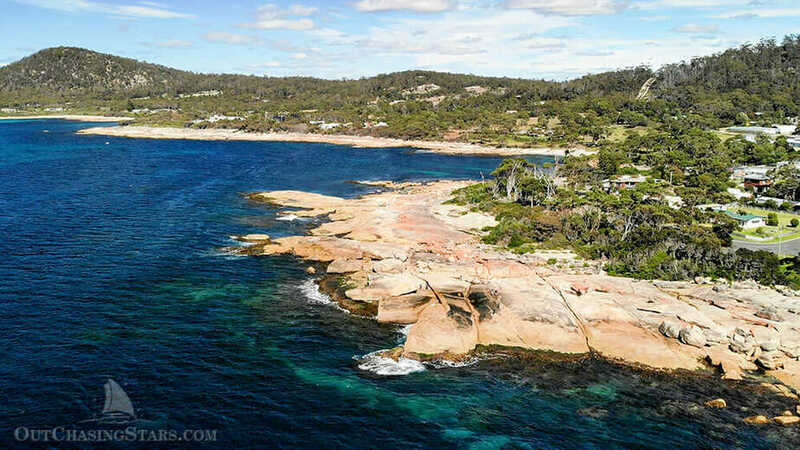 I’ve never considered Tasmania as a place to visit, but seeing your post definitely makes me want to add it to my travel list! I’m glad! It’s a pretty unique place. Did he catch Gastro by any chance? Helene, Monty and me just got back from a week in Tassie and we all caught gastro (possibly from the plane?). Apparently there is heaps of it going around in Hobart at the moment, especially in adults. Glad you otherwise had a good time in Tassie. Def not gastro, thank goodness. Just a good ole flu. Nice post, it’s fun to live vicariously through you! Thanks Mom! Glad you are enjoying it.